Announcing GVLL's New Challenger Team! Updated Monday March 27, 2017 by Greenwich Village Little League. Do you know a child who is physically or developmentally challenged and who would love to experience the magic of baseball? The Challenger Division, Little League's adaptive baseball program, is designed to offer just such an opportunity. 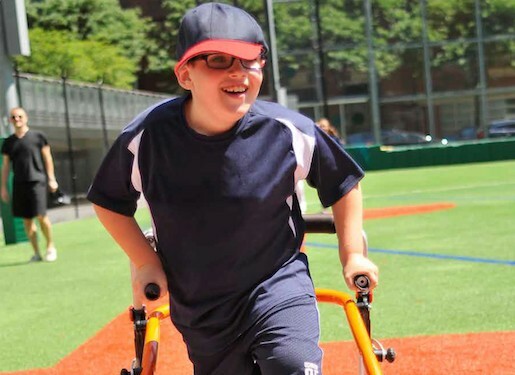 This year, Greenwich Village Little League will field a Challenger team as part of Downtown Little League's Challenger program. Games are developmentally appropriate with an emphasis on fun and teamwork and will take place on Saturdays from 10-11:30 AM at the Battery Park City Ball Fields north diamond, corner of West and Warren Streets. The season runs from April 29 through June 17. To read more, click here. To register, go to www.gvllnyc.com, click the big red "Spring 2017 Registration is Now Open" button and follow the instructions Sign up soon, as space is limited.